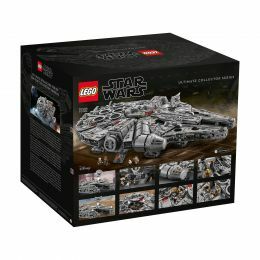 Please note: Strictly one item per customer. 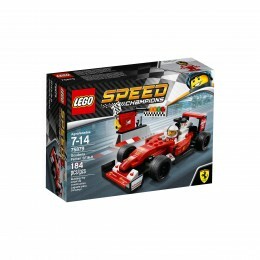 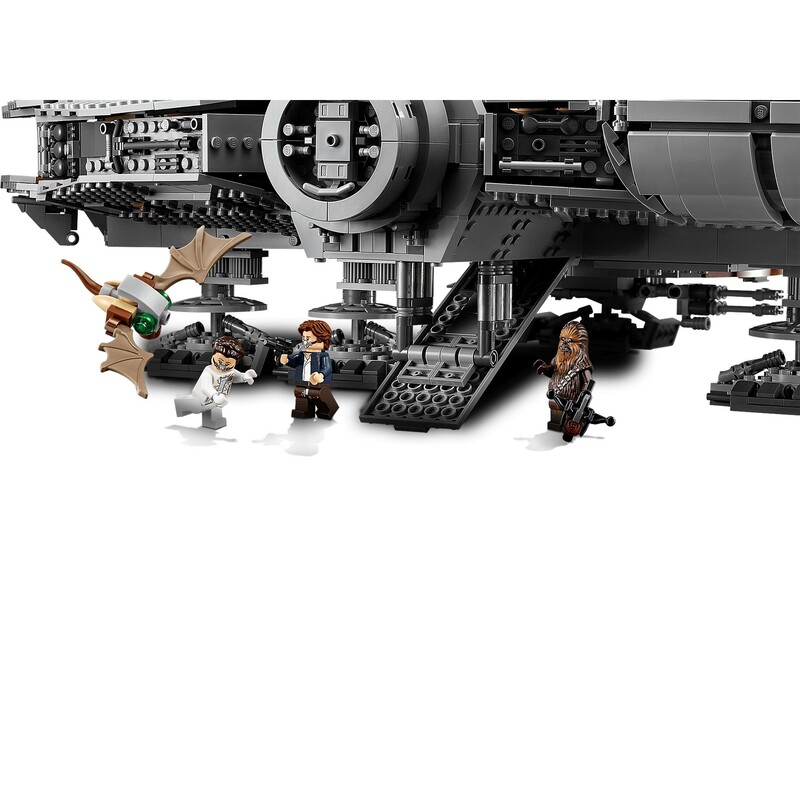 Orders for excess quantities will not be accepted due to the rarity of this set, thank you. 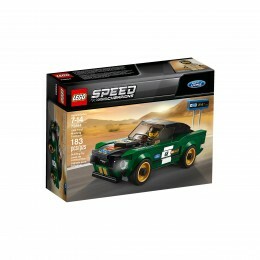 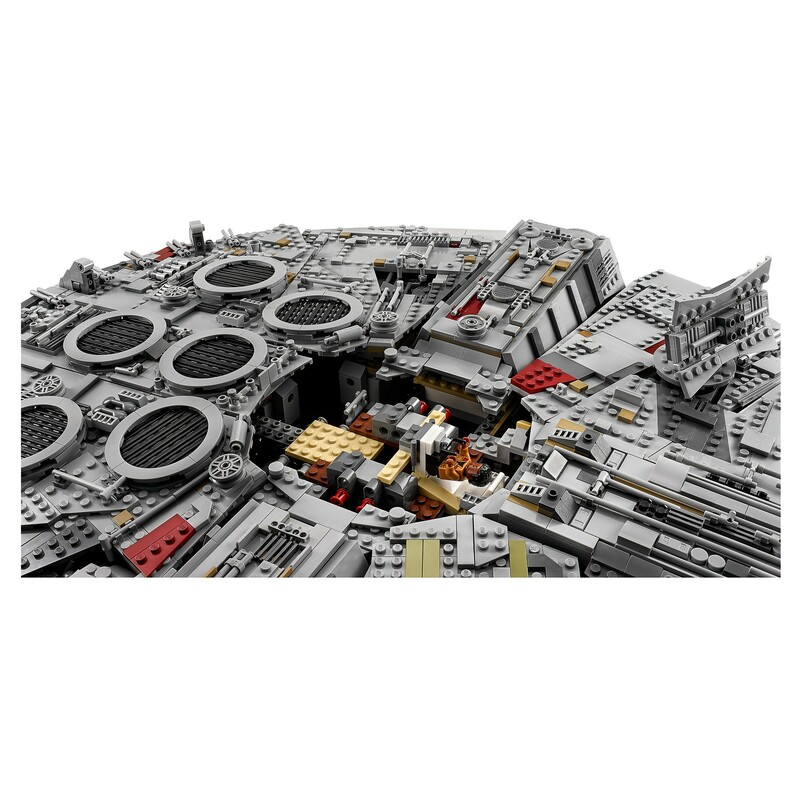 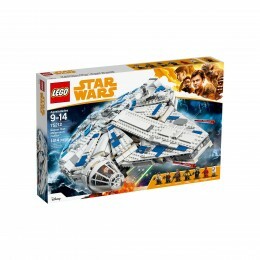 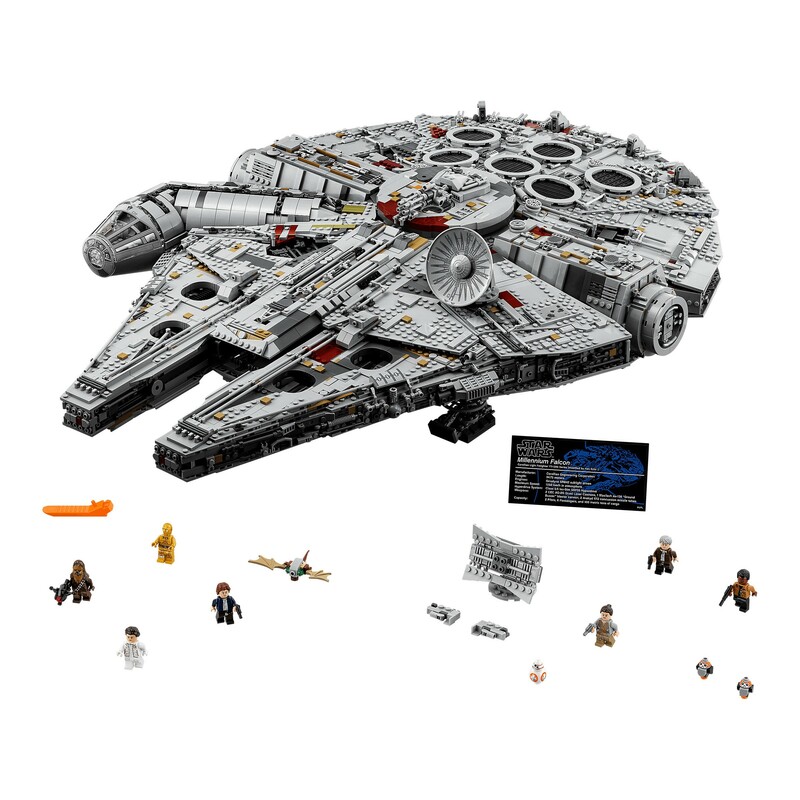 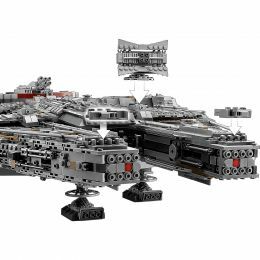 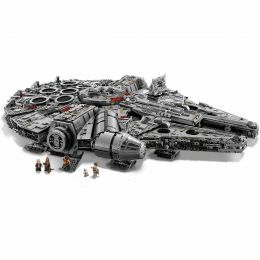 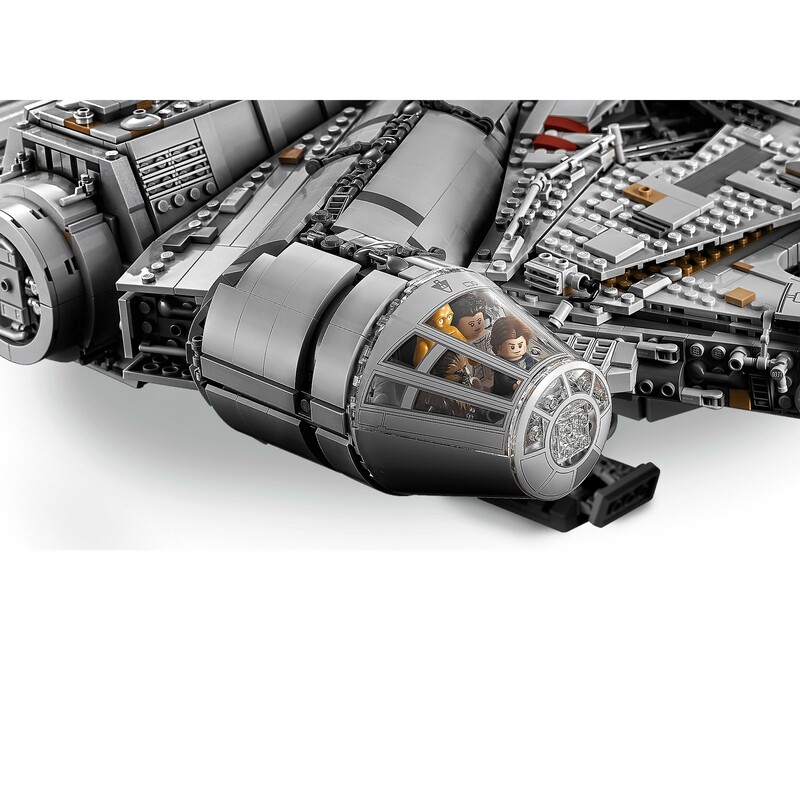 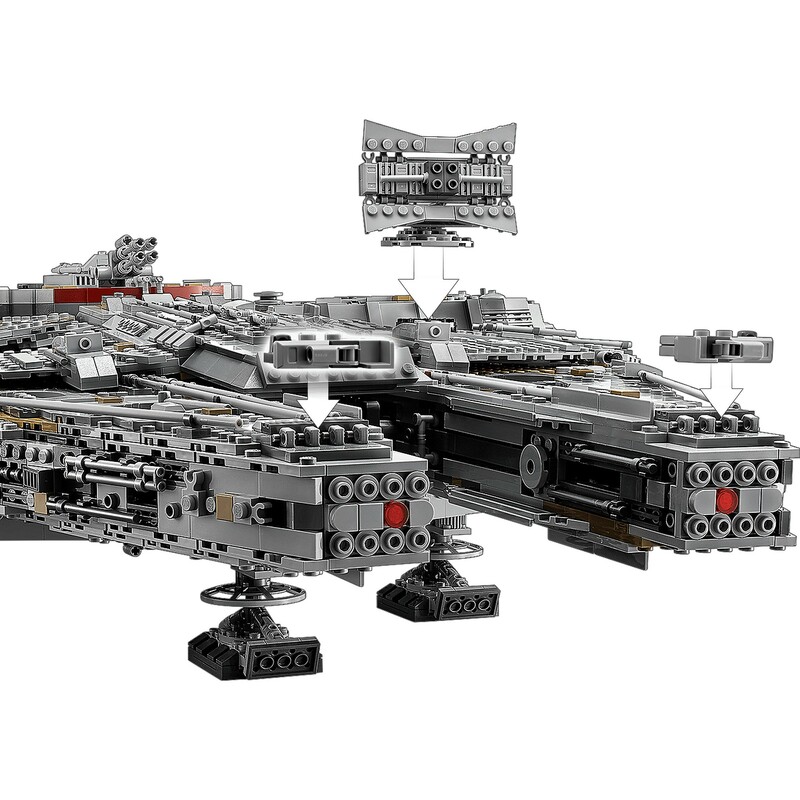 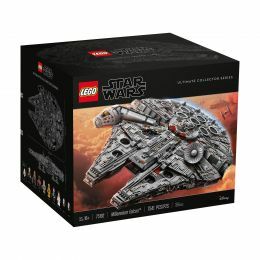 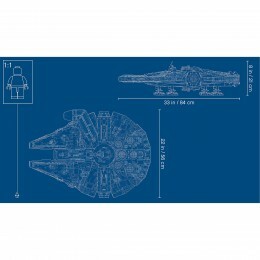 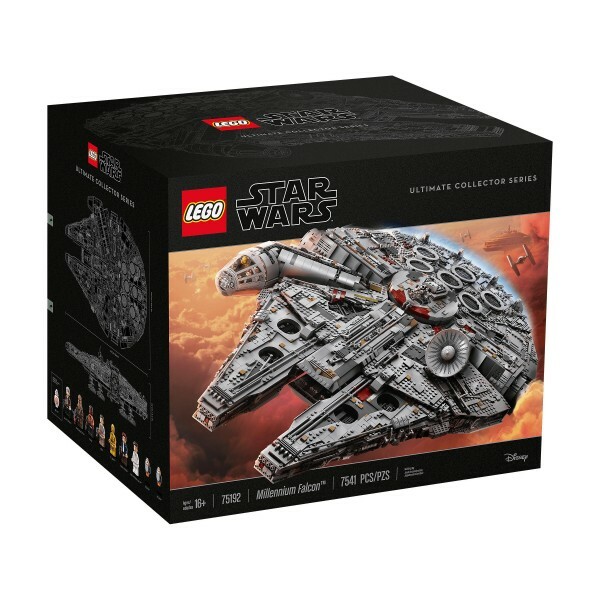 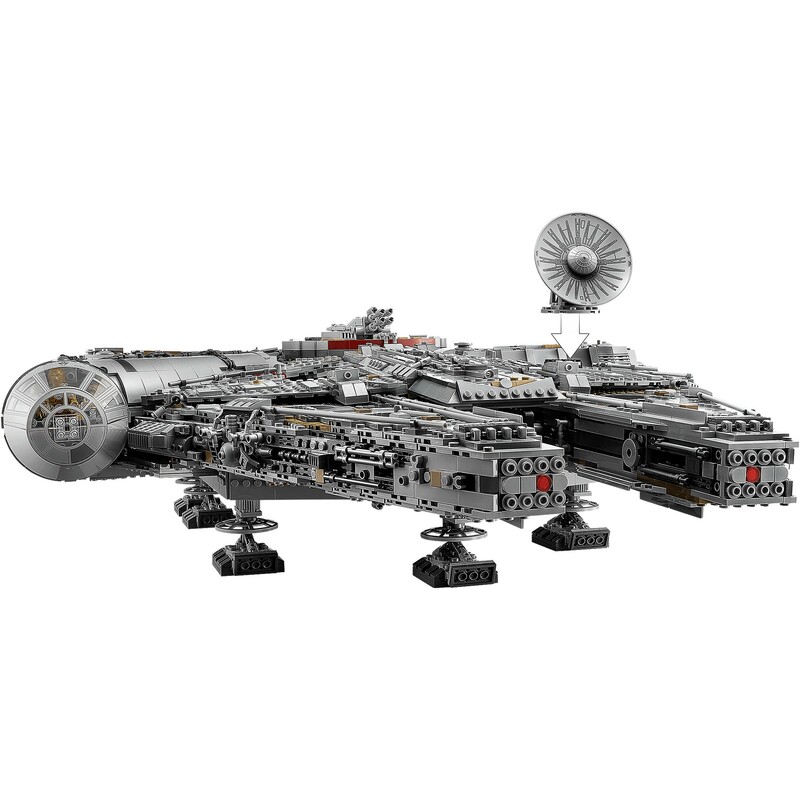 Travel the LEGO galaxy in the ultimate Millennium Falcon! 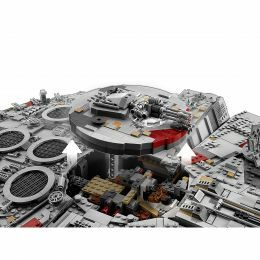 Welcome to the largest, most detailed LEGO Star Wars Millennium Falcon model we’ve ever created—in fact, with 7,500 pieces it’s one of our biggest LEGO models, period! 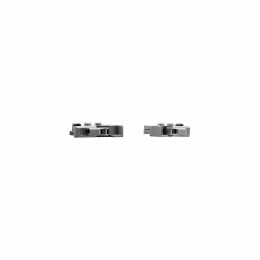 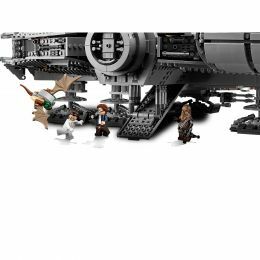 This amazing LEGO interpretation of Han Solo’s unforgettable Corellian freighter has all the details that Star Wars fans of any age could wish for, including intricate exterior detailing, upper and lower quad laser cannons, landing legs, lowering boarding ramp and a 4-minifigure cockpit with detachable canopy. 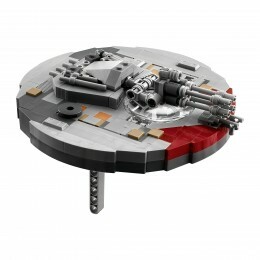 Remove individual hull plates to reveal the highly detailed main hold, rear compartment and gunnery station. 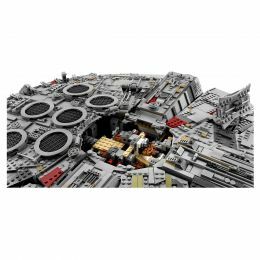 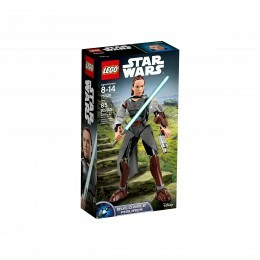 This amazing model also features interchangeable sensor dishes and crew, so you decide whether to play out classic LEGO Star Wars adventures with Han, Leia, Chewbacca and C-3PO, or enter the world of Episode VII and VIII with older Han, Rey, Finn and BB-8! 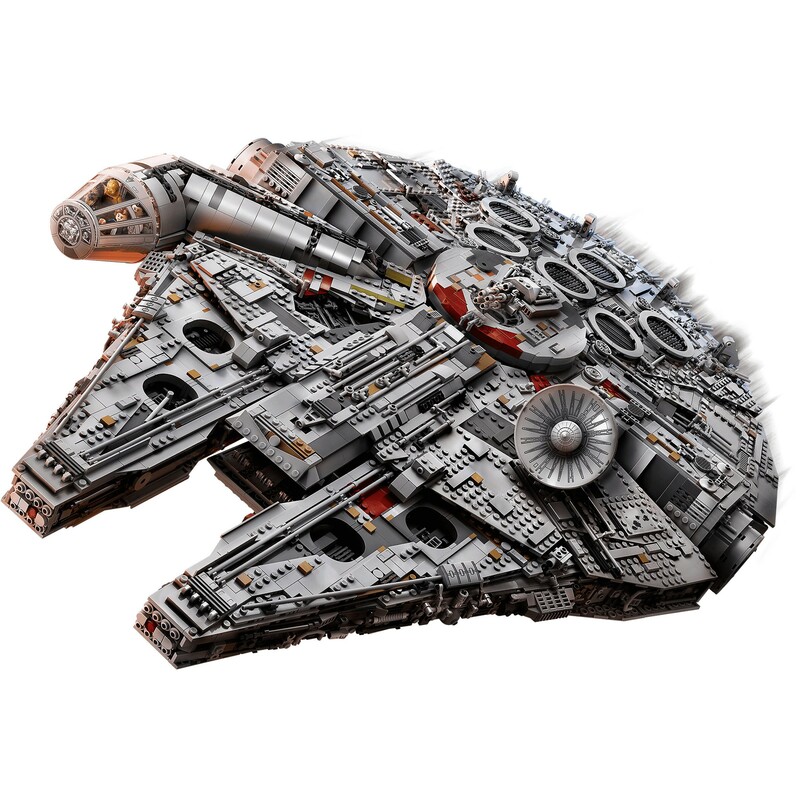 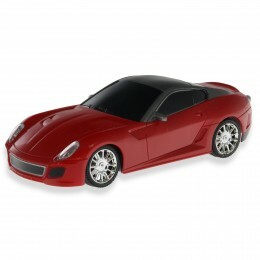 Measures over 8" (21cm) high, 33" (84cm) long and 22" (56cm) wide.